Having your financial planners and fiduciaries together on one team produces a more intuitive, responsive, and collaborative means of managing your assets. ARE YOU SUCCESSFULLY NAVIGATING THE FINANCIAL MAZE? By providing a comprehensive strategy, Slaughter Associates cuts through all the financial complexities for you. WE ACHIEVE RESULTS, ONE RELATIONSHIP AT A TIME. Your expert wealth management team at Slaughter Associates is accessible, attentive, and passionate about delivering your dreams. YOUR DREAMS HAVE OUR FULL ATTENTION. Our clients consistently tell us that peace of mind based on a relationship of trust is what they value most from us. As one of the nation’s first fee-only wealth management firms, we specialize in delivering comprehensive wealth management solutions which clearly define your financial goals and how to achieve them. The strategy, constructed around a financial plan, is implemented through active, diversified, and conservative asset management by internal experts and a collaborative relationship with you and all your financial service professionals. Whether your wealth was earned over the course of a professional career, through the sale of a business, inheritance, or other means, Slaughter Associates offers the expertise and attention to detail required to make sense of every nuance and provides a clear picture of your future goals and dreams. Simply put, effective wealth management puts your money to work for you while navigating the financial complexities that wealthy individuals and families face. Do you have plans in place to manage cognitive decline? How do you create a business that achieves high client retention rates and profitability? How can you avoid the pitfalls of multiple financial strategies? As your wealth has grown, has your family adjusted its wealth management requirements? What are the nonmonetary considerations of selling your business? 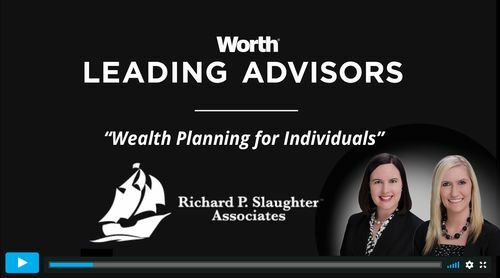 Richard P. Slaughter Associates is regularly named among the "top wealth managers" by leading local and national financial publications, and our team members serve as expert resources for the media and other respected financial professionals. 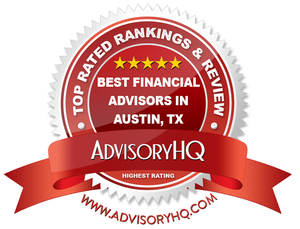 The Austin Business Journal has repeatedly recognized our company as a “Best Place to Work.” All of which adds up to attentive and responsive service and a lasting relationship you can trust.